Bowfin fish are typically found in slow moving lakes and rivers. Bowfins are able to go without food for very long periods of time but will eat just about anything when it is not fasting. A typical meal for a Bowfin may include snakes, turtles, frogs and other small mammals. Ironically, the main predator of a Bowfin is a bigger Bowfin! 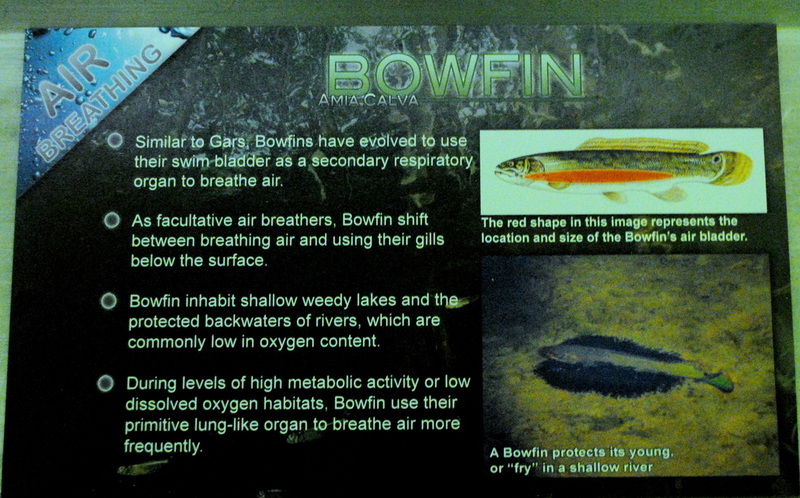 Another unique trait of the Bowfin is that they use their swim bladders as lungs and come up to the surface every few minutes to breathe air.